In Part 1 of Biff Bam Pop!’s exclusive conversation with legendary X-Men scribe Chris Claremont, we talked about how the new series X-Men Forever came to be and what Claremont’s intentions with the series are. You can check it out here. And now, on to Part 2. Andy B: In returning to the X-Men, are any of the plot points you’ve got planned for X-Men Forever ones you had prior to leaving after X-Men #3? Chris Claremont: Some of them were concepts and ideas that I had at the time. Others are concepts and ideas that have grown up since then. And some were thoughts that were set aside because the reality of an ongoing title that is part of a whole host of related titles limits the amount of flexibility you have. 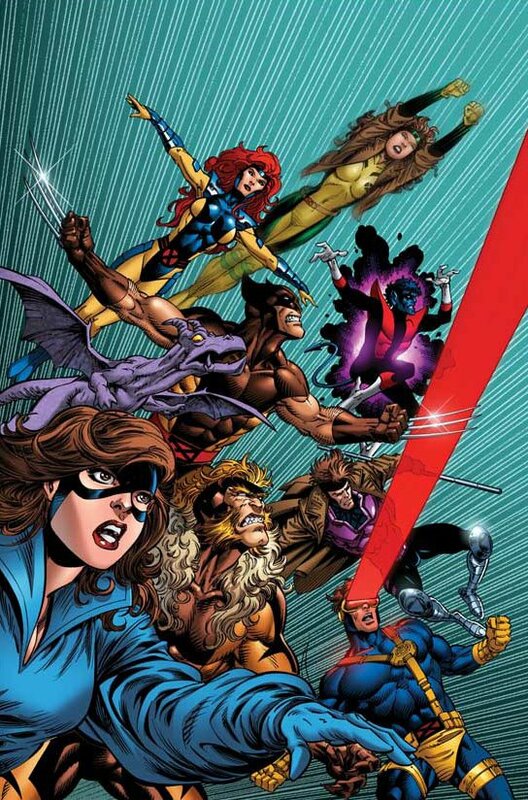 If for nothing else, the events of the Alpha book and the first arc, with respect to one of the core characters of the X-Men mythology, represents something we wouldn’t even consider trying in Uncanny, and when I pitched the idea it was rejected simple because it would require taking a character offstage for over a year as a setup, and when that character is part of four other titles, including his own, that just wasn’t considered viable. Here though, it’s not only viable, we can not only make it for real, we can make it permanent. Andy B: Which makes me wonder, how permanent will death be in X-Men Forever? Chris Claremont: Death is death. You don’t get better. The exception that proves the rule is Jean. That’s in part why we have Sabretooth as an ongoing character in the series, because his reason for being there is to find out who killed his son, and to deal with it. Chris Claremont: It’s pretty primal, and pretty darn good looking. 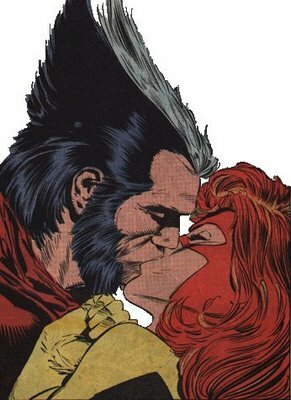 Andy B: What is it about the relationship between Logan and Jean that appeals to you as a writer? Chris Claremont: What appealed to me is that you couldn’t take it for granted. 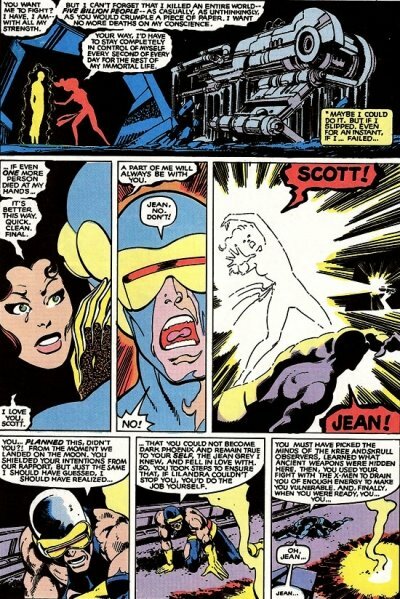 The whole point of Jean dying in the first place was that Jim Shooter gave us the opportunity to demonstrate that there were realities to the X-Men’s life that did not apply, it seemed, to other titles. Things happened that were not miraculously fixed, and the lives they lived had an inherent danger to them. You could not go out and expect that everyone would come home again and that fifteen issues from now everything would be back to normal and yadda yadda yadda we would pick up and go on. The whole point of Jean, and perhaps because it was a unexpected last minute “you’ve got to do something” decision that was as shocking and fundamental to the creators as it was to the characters, it all sort of catalyzed in the presentation and the evocation and evolution of it over a period of issues to be a very personal and primal event. And it stuck. It felt right. When Weezy (Louise Simonson) and I talked about, I know John (Byrne) wasn’t as happy about it (Jean’s death), none of us were happy about it, but the longer I was with it, it felt right. And the opportunities it opened up for the characters and the series after that, it was a natural, ongoing progression. I think that the opportunity that we’ve been given with X-Men Forever is to revisit that moment in the X-Men’s lives and say, even more so with the character that it happens to this time, there are no miraculous resurrections. If it can happen to him, it can happen to any of us, and you have to face the reality that we are, for all our dreams, mortal and we’ve got to live with it. We’ve got to face that reality and find a way to progress. Jean may be the exception that proves the rule, but the heartbreak for her is that in the back of her mind was the thought that “if I really am Phoenix and I’m going to be stuck here until the end of time, at least I know this man I love will be along with me until the end.” And now he’s not there, and she has to face the fact that she’s going to be alone. That Scott is mortal. That Charlie is mortal. That everyone around her is mortal and she may not be. What does that mean for her in 100 years or 1000 years or 1 million years or a billion years. How can she deal with that? Suddenly that’s a whole, different scary thing. The thing is, she and Scott have come to a specific point in their relationship. So what does that do for Scott? What does it do for Hank? 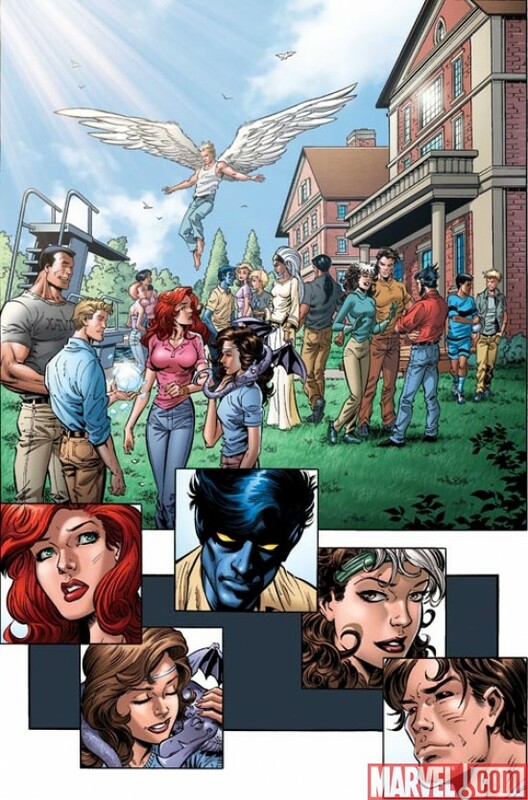 We’ve brought these characters into a situation where Kitty and Kurt have been with Excalibur, they’ve come back to the X-Men. Now she (Kitty) meets someone like Gambit. Is there a possibility there? Andy B: It’s all these amazing possibilities now. Chris Claremont: Well that’s it. It’s all these amazing possibilities that have never been considered, much less explored. Everyone assumes that Gambit will get together with Rogue. Well, maybe Rogue’s not interested. Maybe Gambit’s eye is caught by someone else. This is a Rogue that’s still dealing with the loss of Magneto. Does she want to get involved with anyone in the X-Men? Who knows how this all mixes together. Andy B: It sounds like, with all these ideas, that you plan to stick with it for a long time, hopefully. Chris Claremont: It’s the same rule as last time. I’d like to stick with this as long as we have an audience. The hope is to build an audience that will grow from issue to issue, from arc to arc. The nice thing is that with Tom Grummett we have as a good a foundation penciller as any writer could wish for. The disadvantage is that he can’t do 26 issues a year. So we’ve got twelve to fifteen in his pocket. On the other hand, we’ve got Paul Smith and Terry Austin doing an arc that picks up with Issue 6. We have feelers out to a number of top notch artists who might not be the “A” list of people in the 21st century but, you know, we’ve got some classic surprises going on here. Imagine an arc by Mike Grell. That could be fun. So we would like to think that what we’re going to come up with here is a series of surprises, one after the other. And the thing about Forever is that you really can’t take things for granted, because we don’t have to worry about sustaining a franchise. We can play, on a lot more primal a level then other titles might feel they’re able to. Coming up in part 3 of our conversation with Chris Claremont: The Beyonder, cosmic thoughts, and subtlety in comics. Thanks to Beth Fleisher for her assistance and Chris Claremont for his time. Mike Grell on an arc? That would be awesome! Chris, if you take Grell away from us while we're trying to get pages for the Pilgrim out of him, I'm deleting your website.